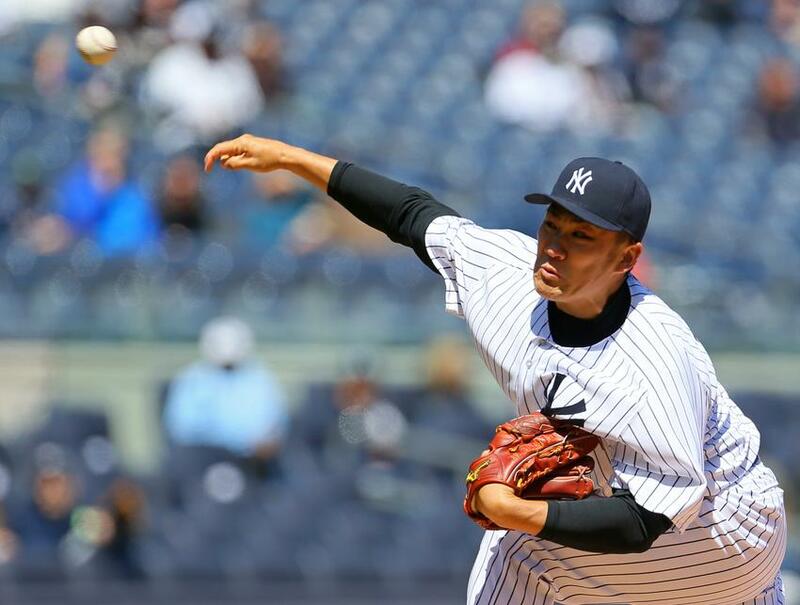 Earlier this week, the Yankees shut out the Chicago Cubs, 3-0 and 2-0, the first doubleheader shutout in major league baseball in more than 25 years. The double shutout is a true rarity in baseball. Here, in chronological order, are the top 10 doubleheader shutouts in MLB history. 1. Sept. 4, 1902 — The Pittsburgh Pirates and Boston Beaneaters scored the fewest combined runs in a doubleheader — one. Boston won the first game 1-0; the nightcap ended in a 0-0 tie. 2. Sept. 26, 2008 — In all of baseball history, only one pitcher has thrown shutouts in both ends of a doubleheader. Chicago Cubs pitcher Ed Reulbach, right, blanked the Brooklyn Dodgers twice in the same day, 5-0 and 3-0. 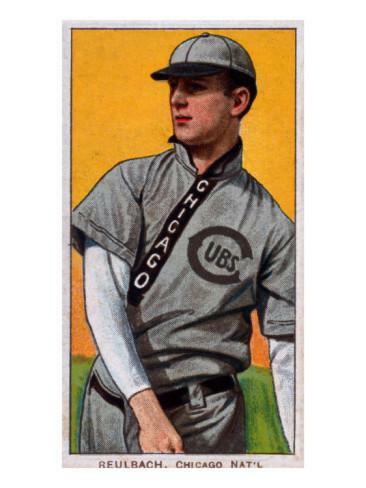 Reulbach went on to win 24 games that year, and helped the Cubs win their last World Series. He was the last living member of the championship Cubs, and died in 1961. 3. 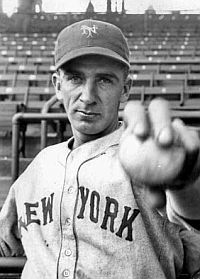 July 2, 1933 — Pitching all 18 innings, New York’s Carl Hubbell, below left, outlasted St. Louis, 1-0, in the first game of a doubleheader at the Polo Grounds. King Carl struck out 12 without walking a batter. The Giants also won the nightcap 1-0, Roy Parmelee topping Dizzy Dean. Parmelee fanned 13 batters and walked none. 4. June 28, 1936 — Nearly three years later the tables were turned on Hubbell, who suffered the loss in the first game of a 3-0, 6-0 Cubs sweep. Larry French won the opener for Chicago and Bill Lee took the nightcap. Hubbell, aka The Meal Ticket, was National League MVP in both 1933 and 1936 and was later inducted into the baseball Hall of Fame. 5. June 27, 1962 — The Cardinals blanked the Cubs twice in the same day as Larry Jackson and Ray Sadecki pitched complete games for St. Louis at Wrigley Field. The scores were 4-0 and 8-0. 6. Sept. 12, 1969 — With the Mets mounting a drive towards their first playoff appearance, Jerry Koosman pitched a three-hit shutout in the opener and Don Cardwell hurled eight innings of four-hit ball in the nightcap. The Mets beat the host Pirates in both games by the score of 1-0, and Koosman and Cardwell singled in the only runs. The New York Times later referred to it as the Mets best doubleheader of 1969. 7. July 27, 1975 — Boston came to New York and blanked the Yankees twice at Shea Stadium, 1-0 and 6-0. Bill Lee outdueled Catfish Hunter in the first game, and Roger Moret was the victor in the second game, in which Ron Guidry made his major league debut. 8. April 19, 1987 — Kansas City was the victim in the Yankees’ last double shutout. Charles Hudson and Pat Clements did the honors in a 5-0, 1-0 sweep at Yankee Stadium. 9. June 26, 1988 — Charlie Lea and Frank Viola were the winners as the Twins topped the A’s twice, 11-0 and 5-0, in Oakland. This year, for the first time in nearly 20 years, Tigers Woods is missing the Masters and another opportunity to close the gap on Jack Nicklaus. My, how the mighty have fallen. Back in June 2008, Woods was sitting high atop the golf world. He had just won the US Open for the third time, copped his 14th major, and at the age of 32 appeared to be a lock to break the great Nicklaus’ record of 18 career majors. Then it all unraveled. Two days after his Open win, Woods announced he would miss the remainder of the season due to knee surgery. Although Woods played well upon his return in 2009, he failed to win a major for the first time since 2004. It got worse after Woods’ marital infidelities became public late in 2009. Several sponsors dropped Woods along with his wife, model Elin Nordegren, who divorced him. Things weren’t any better on the golf course. Outside of fourth place finishes in the Masters in 2010, 2011 and 2013 (the latter tinged with controversy in which some called for Woods’ disqualification after a drop incident on the 15th hole during round two), Tiger has barely contended in most major tournaments. Now he’s sidelined after having back surgery to repair a bulging disk. According to cbssports.com he won’t return for at least three months. The US Open appears out, and Woods’ ability to play in the British Open and PGA is questionable. The New York Daily News recently reported that Ladbrokes, a British bookmaker, increased Tiger’s odds of catching Nicklaus from 6-to-1 to 25-to-1 after news of the surgery was announced. .
Tigers Woods turns 39 on December 30. Ben Hogan (5), Nicklaus and Sam Snead (4 apiece) and Gary Player (3) have won the most majors after the age of 38. One has to wonder if a banged up and now very vulnerable Tiger Woods may ever win another major, much less four. The Tiger hunt appears to be over. Think back 20 some odd years ago. Who would have envisioned the tiny little state of Connecticut, third smallest in the union, would one day be the center of the college basketball universe. Yet following the twin wins by the UConn men and women in the NCAA Tournament, is there any doubt that Storrs, CT, is the hoop capital of the country. On the men’s side, no, it’s not Kentucky, despite stellar programs at UK and Louisville. Sorry Dorothy, but Kansas doesn’t cut it. Nor do the ACC kingpins Duke and North Carolina or top-ranked Florida, which lost to UConn twice this year. UCLA is old news. The UConn women’s team now clearly dominates the territory once ruled by Pat Summitt’s Tennessee Lady Volunteers, who won eight championships between 1987 and 2008. Baylor and Notre Dame have had strong women’s programs recently, but nothing close to the Lady Huskies. Geno Auriemma’s UConn women have won nine championships since 1995. Included in that run are five undefeated seasons, capped by this year’s win over previously unbeaten Notre Dame in the title game that pushed UConn to 40-0. The UConn women have now won 46 games in a row, the third longest streak in school history — but far short of their NCAA record 90-game winning streak. The UConn men have won four championships since 1999, three under Hall of Fame coach Jim Calhoun and the final under second-year coach Kevin Ollie. That’s twice as many as North Carolina and Florida in the same 15-year span. For the second time, the men and women have won NCAA championships in the same season. In 2004, the women won their third straight championship while the men beat Georgia Tech for their second crown. Amazingly, UConn is a combined 13-0 in men’s and women’s championship games. There’s UConn…and then there’s everybody else.